These are the basic instructions to make a beaded angel, you can use different size beads and vary the pattern to create as many different angels as you like. 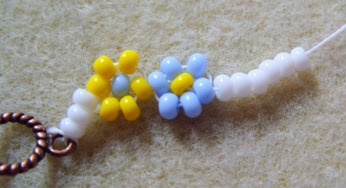 A larger bead for the head. 1. 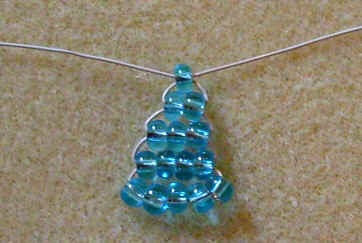 Cut a piece of wire about 18" long. 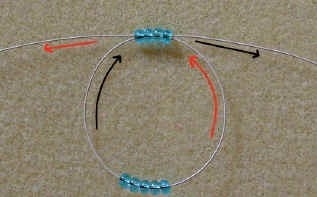 Thread on 5 beads and leave these at the centre of the wire. 2. 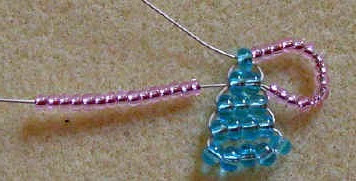 Thread 4 beads onto the end of the wire and thread the other wire through the beads in the opposite direction. fairly close to the centre of the wire. 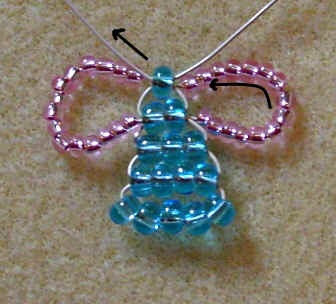 with 1 bead to form a triangle of beads. 5. 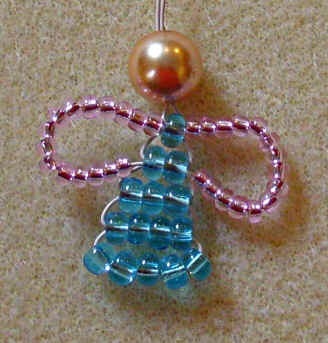 Choose the longest wire and thread on 15 size 8 seed beads. 6. 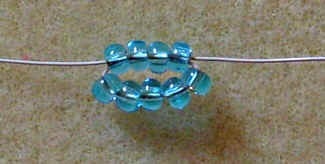 Bring the wire around and push through the 2 beads in the 2nd from top row. 7. 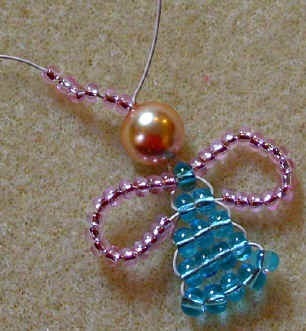 Pull the wire through firmly to form a wing. 8. 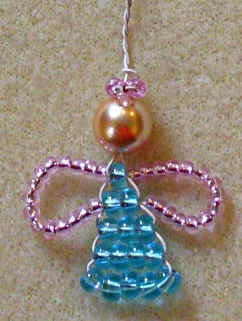 Continuing on the same wire thread on another 15 size 8 seed beads. 9. 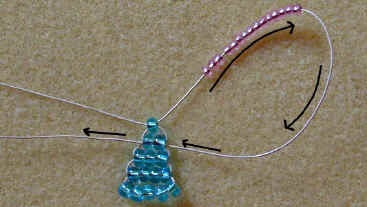 Put the wire through the first bead at the top of the triangle. 11. 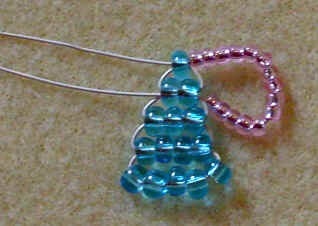 Thread 6 size 8 seed beads onto the shorter wire. 12. Wrap into a little loop and twist the wires together to form a little halo. 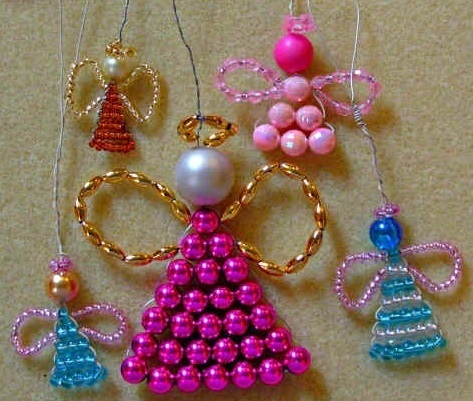 Twist the spare wires together and bend round to make a loop to hang your little angel up with.